oven/microwave/cooker/hob/fridge/toaster/kettle/ washing machine/sink all cutlery and utensils. Dinning table plus four chairs , small coffee table and two leather two seat sofas. Cleaning / Towels / Linen / cleaners service: Professional cleaners clean once a week and replace linen twice every week. Fantastic appartment in great location! The location is amazing! Two minutes to the sea and 10min walk from beautiful sandy beach. There are quite a few supermarkets in very close vicinity and plenty of bars/restaurants to choose from. Pool area is lovely and well maintained and the restaurant serves good coffee & shakes. Hi Anna , thank you so much for your kind review , really glad you had a nice holiday and look forward to seeing you again! This was a good value 2 bed appartment on gnd floor with south west facing terrace which was perfect for sunbathing / evening drinks. PS1 complex is in a great location within easy walking distance of a very wide choice of bars, restaurants, shops, nightlife and beaches. Fantastic apartment. Would highly recommend it. Great location and very clean and comfortable. Last of several stays and looking forward to the next. Super stay thank you Martin. 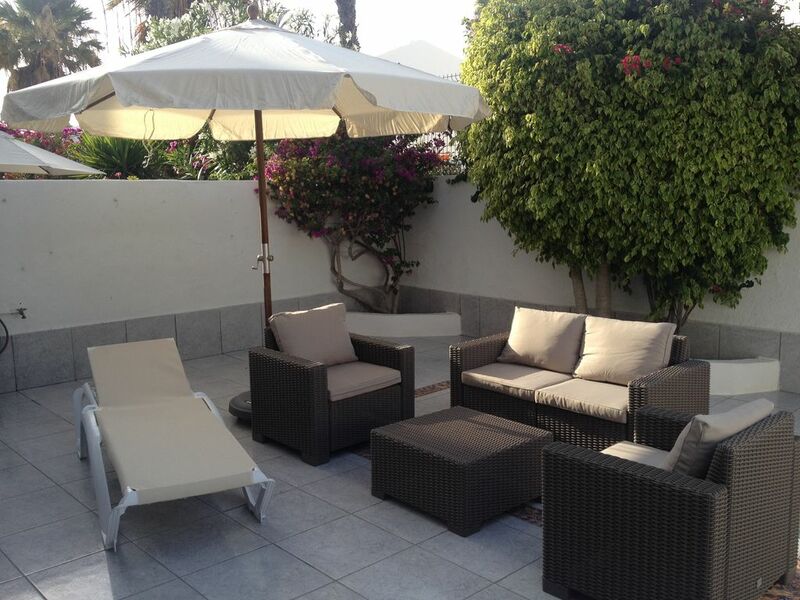 Spacious well cared for accommodation lovely terrace and a lovely clean maintained pool area with delicious pool bar. Accommodation next to everything you would need. Would highly recommend Martin and his apartment to all and I will certainly stay again.